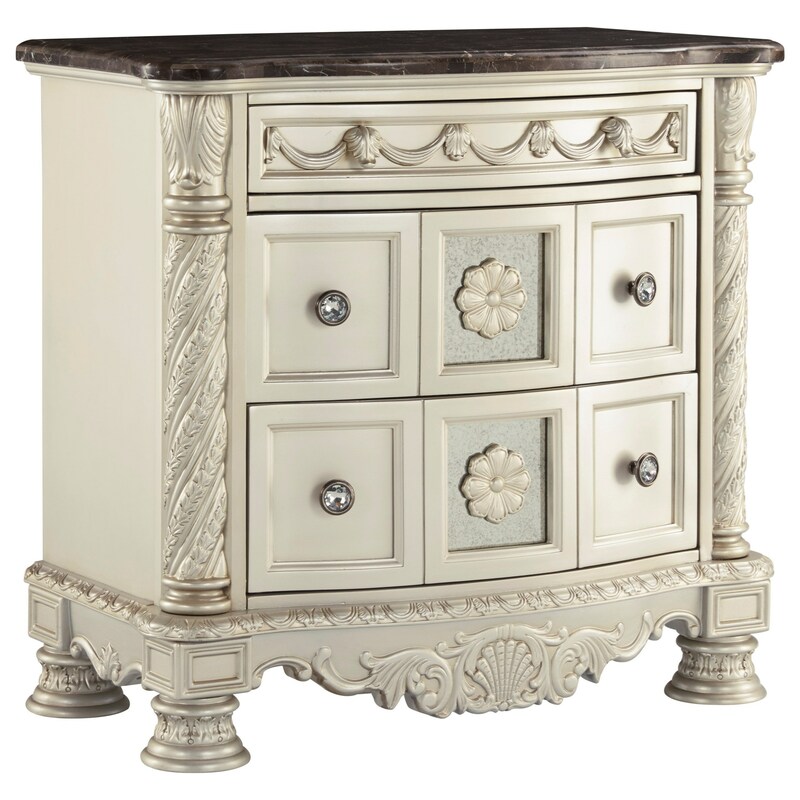 A silver finish with light glaze, shaped front, brown colored natural marble parquetry top, plus ornate half pilasters and base trim give this night stand traditional appeal with a glam style update. Floral accents over antiqued mirror inserts add style to the center two lower drawers. Enjoy a beautiful master bedroom retreat with this storage piece. The Cassimore Three Drawer Night Stand with Brown Marble Parquetry Top by Signature Design by Ashley at Miskelly Furniture in the Jackson, Pearl, Madison, Ridgeland, Flowood Mississippi area. Product availability may vary. Contact us for the most current availability on this product.